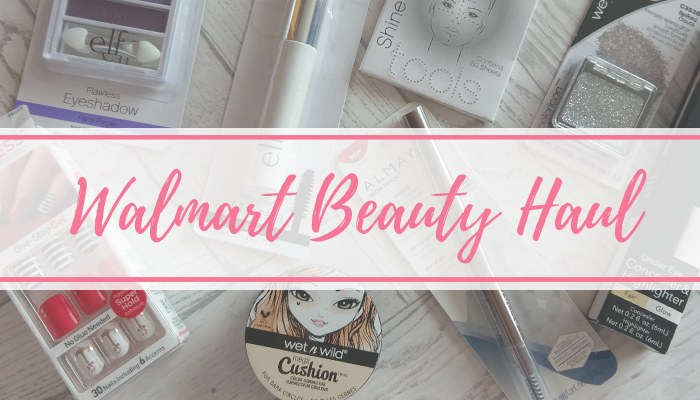 Tania Michele: Walmart Beauty Haul! 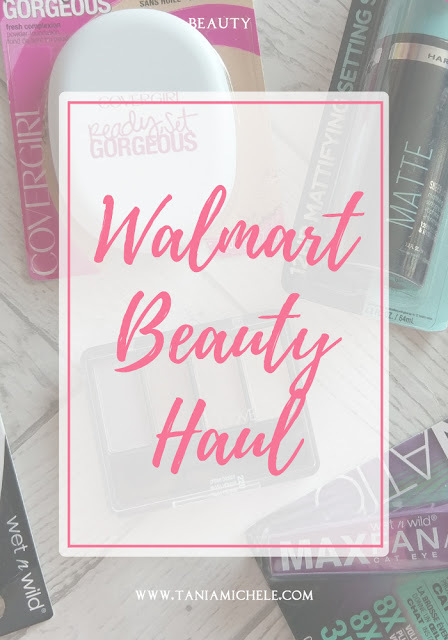 While in Florida, I had a little shop around Sephora and Walmart's beauty sections. I recently showed you what I bought from Sephora, so now it's time for the Walmart's haul! I ended up spending just under $100 on all of these goodies, which I honestly don't think is too bad for all of this. I had abandoned my Dad and sister in the food aisles, and had practically ran off to the makeup before they knew I was even gone. As we were only in the store for a 'quick food run', I had to be quick with my choosing, as I know my Dad hates waiting around for me to pick between products! 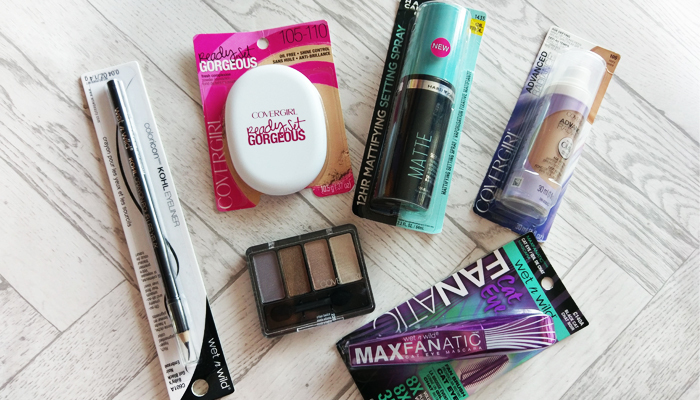 I hadn't realised how many brands that Walmart stocked, so I ended up with a pick and mix of anything I could get my hands on. 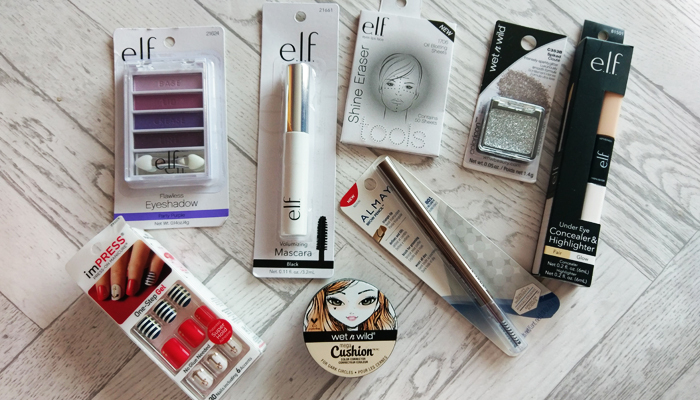 I located the ELF section, and picked up the Under Eye Concealer & Highlighter in Fair, Volumizing Mascara, Shine Eraser and, the Flawless Eyeshadow palette in Party Purple. Then from Wet n Wild, I picked up this Mega Cushion Color Corrector in Peach, and this glittery silver Mono Eyeshadow in Spiked. From the gag worthy nails section, I found my fave false nails brand - Impress - and purchased these nautical themed nails! From a brand I've never heard of, called Almay, I chose this Brow Pencil in Dark Blonde - which hopefully won't be too dark on me when I try it out! Also from Wet n Wild, I found this Khol Eyeliner in Baby's Got Black, which I mainly got because the name of it made me laugh! From the same brand, I found a lovely mascara called Fanatic Black Cat - which promises 8x more volume, so fingers crossed! Next I located Covergirl's section - which I've loved ever since Ellen started promoting them! I ended up with Advanced Radiance Foundation 105 Ivory, 105-110 Fresh Complexion Powder, and 220 Urban Basics Eyeshadow palette. Up next, is a new brand I've also not heard of before, called Hard Candy. I love that brand name. From them, I purchased a 12 Hour Mattifying Setting Spray with oil control. Another Covergirl product, is this 810 Fair concealer - which looks like it has a super soft applicator on the tip of the tube! Back to Hard Candy, I picked up two soft glide eyeliner pencils in two lovely shades - 1277 Chrome and 1267 Creamy Matte. 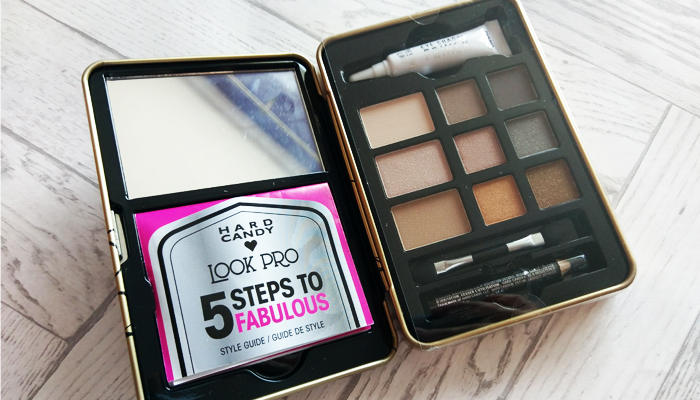 The final product I picked up was Hard Candy's Look Pro Neautral Eyes palette. 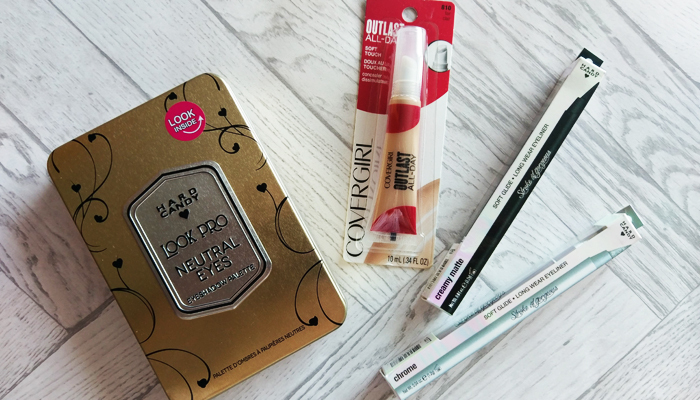 It's such a pretty palette, and take a sneek peek at the inside of it below! Almay are owned by Revlon, I believe. The cushion foundation is so cute! I wish Wet n Wild were available in the UK.